Endura Treads by American Stair are by far the most popular. 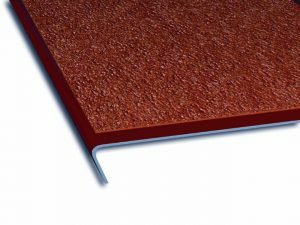 With its moderate acoustical rating, available matching landings, and no need to pour concrete, Endura is a shrewd use of project dollars. They arrive to the job site primed and ready to install. Once installed and the optional tread covers removed, the stairs can be used. No more waiting for concrete to set or be cleaned up. Endura is also available with optional glow-in-the-dark nosing stripes. Ask for Endura with SafetyTread™. FasTrack® treads combine slip resistance with economy. 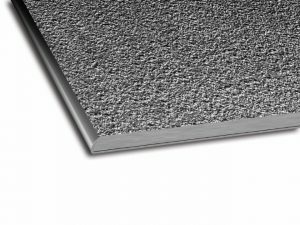 More sound dampening than a traditional Checker Plate tread, FasTrack® is ideal for either indoor or outdoor use. Matching landings are available. FasTrack® also arrives to the job site primed and ready to install. Once installed and the optional tread covers removed, the stairs can be used. No more waiting for concrete to set or be cleaned up. FasTrack® is also available with optional glow-in-the-dark nosing stripes. Ask for FasTrack® with SafetyTread™. ReadyStep® is our thickest, heaviest exclusive tread. It, too, arrives to the job site primed and ready to install. Once installed and the optional tread covers removed, the stairs can be used. No more waiting for concrete to set or be cleaned up. 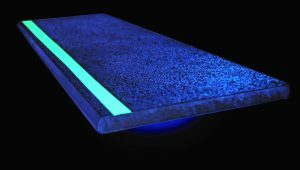 ReadyStep® is also the most quiet of our exclusive treads and is available with optional glow-in-the-dark nosing stripes. Ask for ReadyStep® with SafetyTread™. 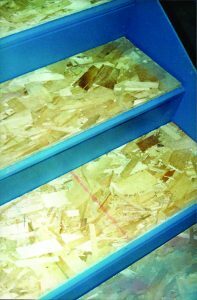 Checker Plate treads and landings are ideal for any industrial or service class stair. They arrive on the job site primed or galvanized and ready to install. 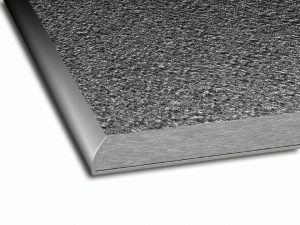 Checker Plate has a moderate acoustical rating making it perfect for warehouses, airplane hangars, mezzanines, etc. 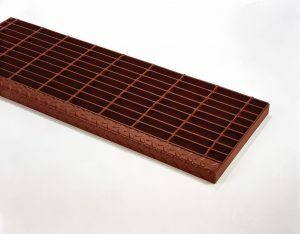 Bar Grating treads and landings have the highest strength-to-weight ratio and allow for maximum circulation of both air and light. 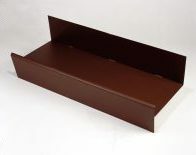 They are highly durable, practical, and ideal for either indoor or outdoor use. They arrive on the job site primed or galvanized and ready to install. Metal pan stairs have been the “old faithful” of the stair industry for years. They do have a very high acoustical rating once they’re in use, but they require concrete to be poured, cleaned up, and fully cured prior to being walked on. They arrive on the job site either primed or galvanized and ready for installation. Concrete not included. SafetyTread™ by American Stair can be added to Endura, FasTrack®, ReadyStep®, and Checker Plate treads and landings. After loss of artificial light, our factory-applied photoluminescent tape at the nose-line will illuminate in excess of 12 hours and is compliant with current IBC and IFC codes regarding luminous egress path markings. Make ticking items off your punch list easier by including protective tread covers. These exterior grade OSB covers are a snap to remove and protect the stairs throughout the entire construction process.